Well I will tell you how I met my wife. 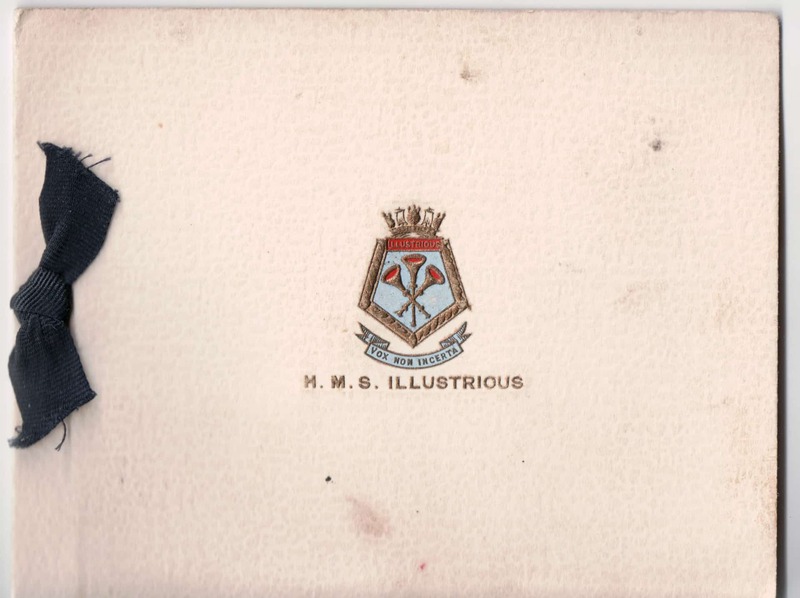 I was on board HMS Illustrious which had anchored off Bangor Bay. 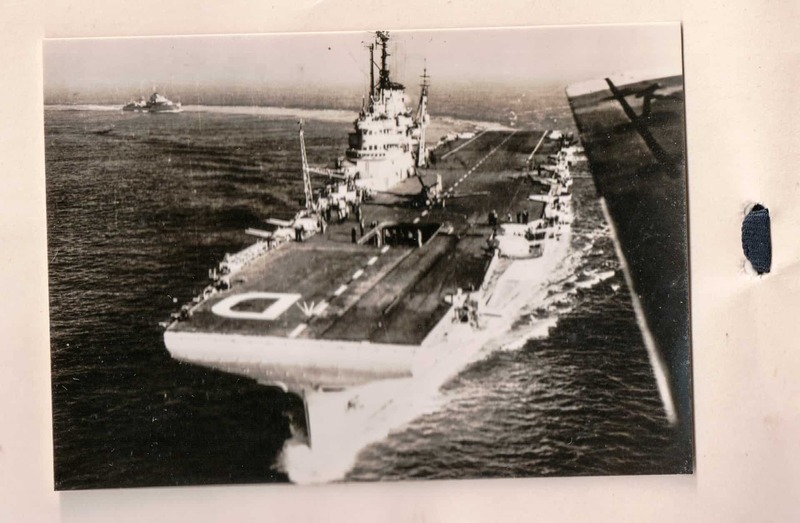 HMS Illustrious was an Aircraft Carrier and it was the first ship I served on after my training. 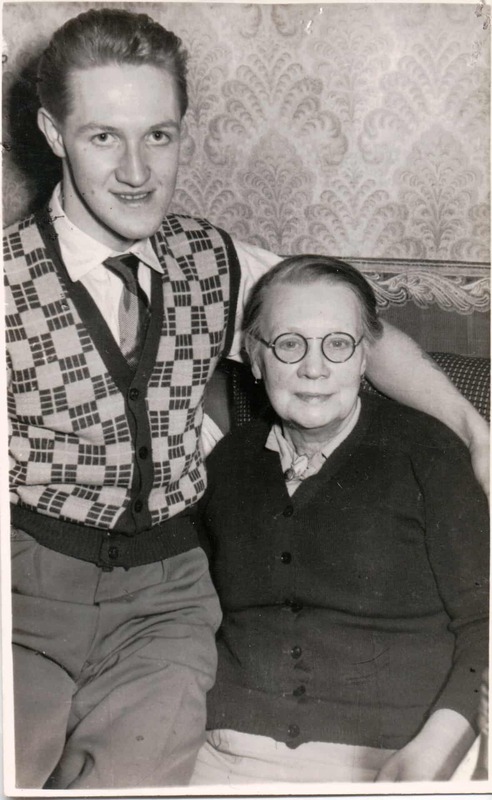 So on Friday 1st July 1949 myself and my friend William went up into Belfast. As we went up into the main way we were stopped because of the Apprentice Boys marching. When we got past them and up until City Hall we saw these two young ladies standing together. We stopped to have a chat and then went for a cup of coffee, and a walk around the town. We spoke about the Apprentice Boys' march and the meaning of the Orange Men and all that. Well, we didn't take them home but I had Lily's name and address and I offered to take them to the cinema in the week. We met at the cinema, and because of my Black Country accent she could not understand my brogue, or in other words my accent. I used to understand her enough though. And we went into the Orient Cinema, and because I'd had a few drinks prior to meeting her I expressed my need to go to the toilet during the film, in the process of finding the toilet we both finished up outside the cinema, and we couldn't get back in! 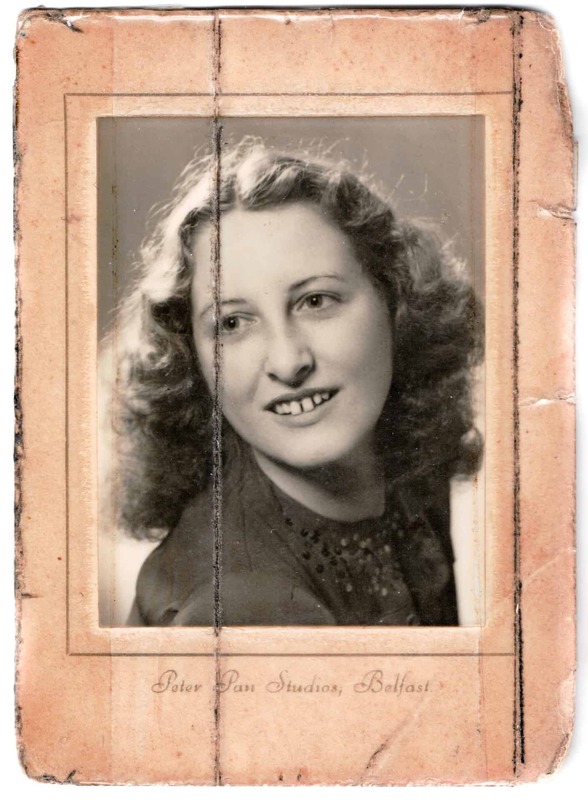 After this, each time we went back up into Belfast Harbour I went up to see her, and we used to write at least one letter a week to each other. I sent her this photo while we were courting, but it was actually taken before I met her in Blackpool. Her name was actually Elizabeth Devine but because she had cousins named Elizabeth she got nicknamed Lily for short. She was Devine by name and divine by nature. She was a very kind person, she used to talk to anyone. She was one of six, and she was the oldest. 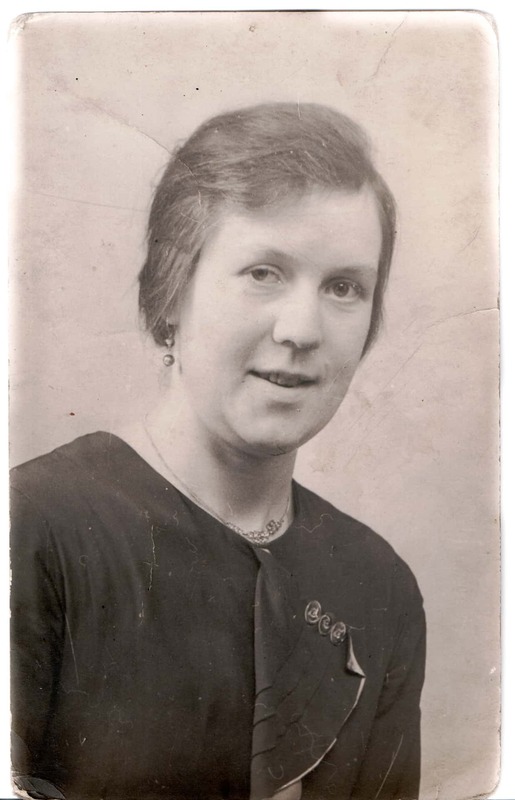 Her sister Violet was married Thomas Sharp who came from County Mayo whose father owned a farm, but had moved into Belfast. This is a photo of Lily and her younger sister Violet taken in Belfast. The baby in her arms was Violet’s first daughter, and whose name was Jacqueline. This was around about 1949 or 1950. By the time we had got married, Violet had had two other daughters. This one here is a photograph of Lily’s family. 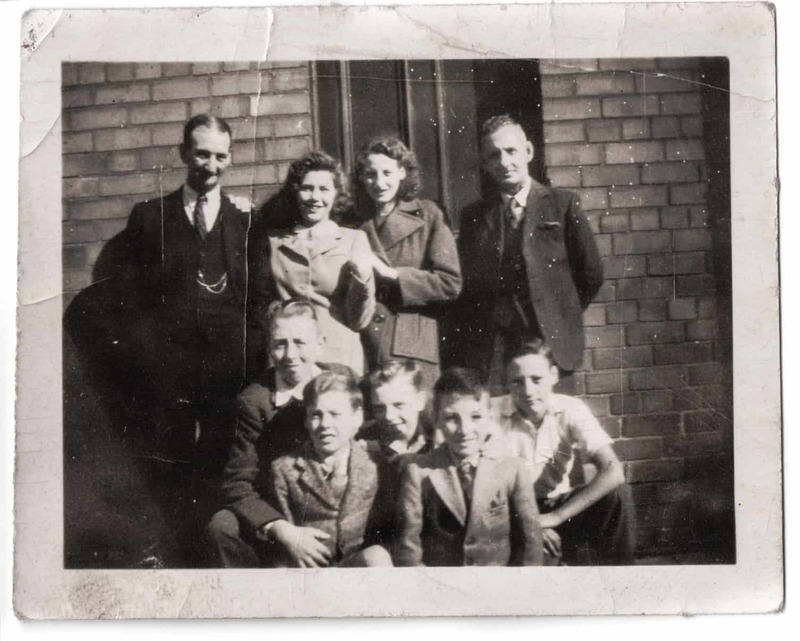 That’s her father Adam on the left who worked in the rope department in the shipyards. Then it’s Josephine who is Lily’s friend. that's Elizabeth, then Uncle Joe, and that’s her brother Adam. Adam worked in the shipyard as a welder. And then that’s her brother Jacky, who because of Diphtheria became mentally disabled. Then the other three there were cousins to the others. 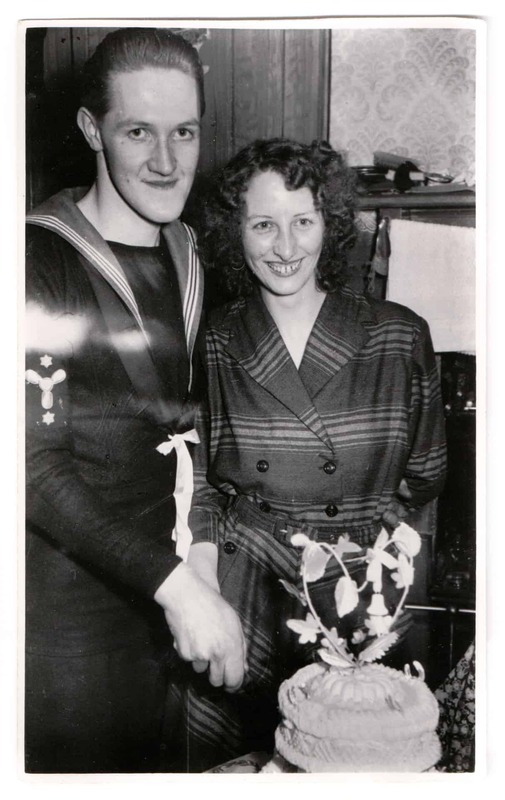 This was taken before we got married and was taken outside 19 Brendan St, Belfast, 1951. 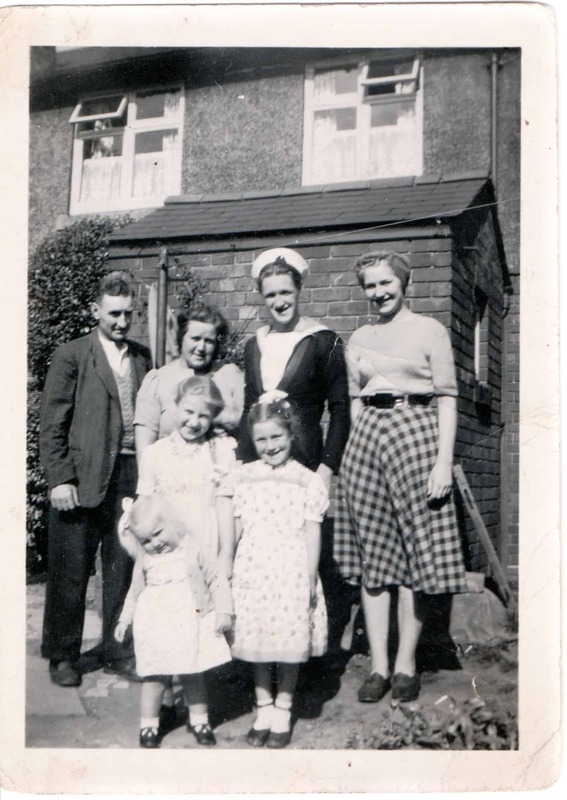 This is one of me and my family and was taken in 1950 at the house in Warley Road. This is my father William on the far left, then my mother Ada Minnie, myself, my sisters Minnie, Rose, Joan, and then cousin Janet. My cousin Janet died at the age of 11 of Leukaemia. And Rose, she passed away from Breast Cancer in 1993. 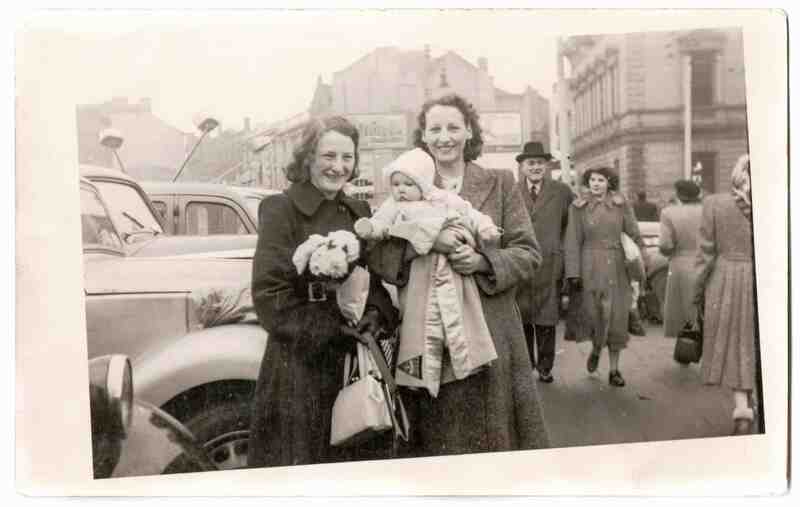 In the front is my sister June who was born 31st May 1948, she will be 70 this year and now lives in Broadwell. I was happy for having the sisters, but I was disappointed because I didn’t have a brother. 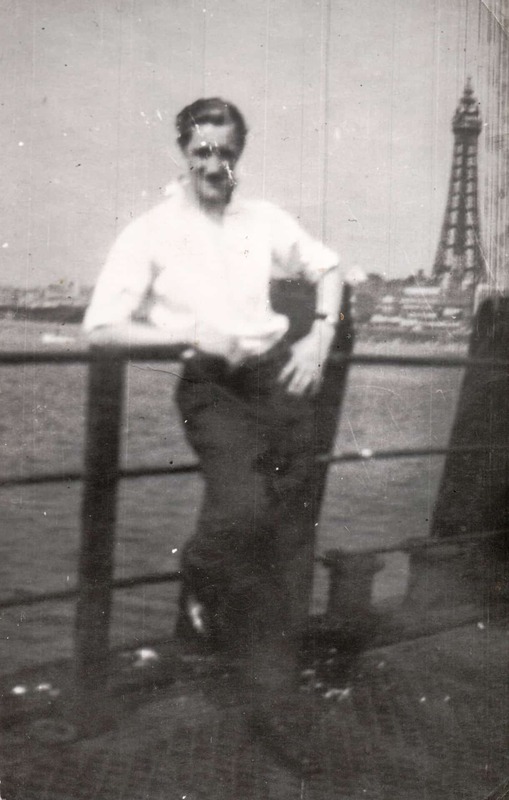 Well my dad William, he always used to take us the cinema at the weekends, always made sure we had a holiday at least once a year, and he worked shift work down at Accles & Pollock, he was what’s know as a ‘pick-upper’, they used to put the tubes in a pickle bosh to clean them. It was really hard work. He was also a shop-steward. 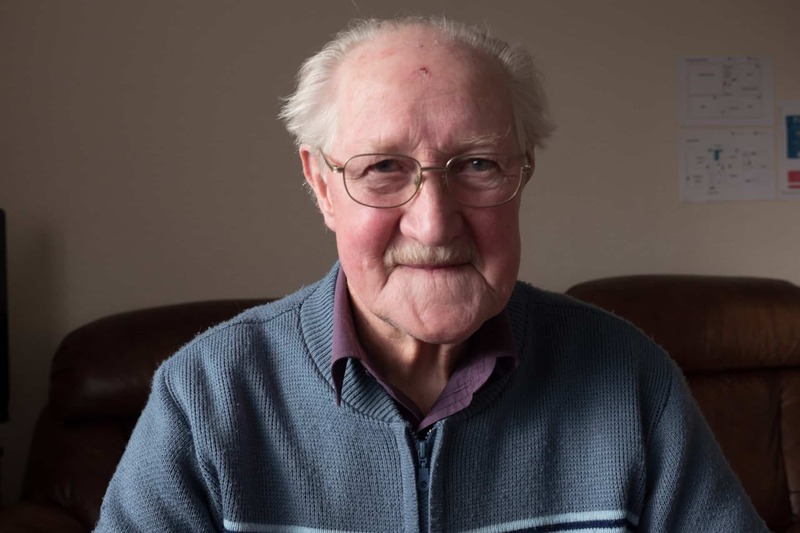 He was there for 40 years, and then he retired at the age of 70. 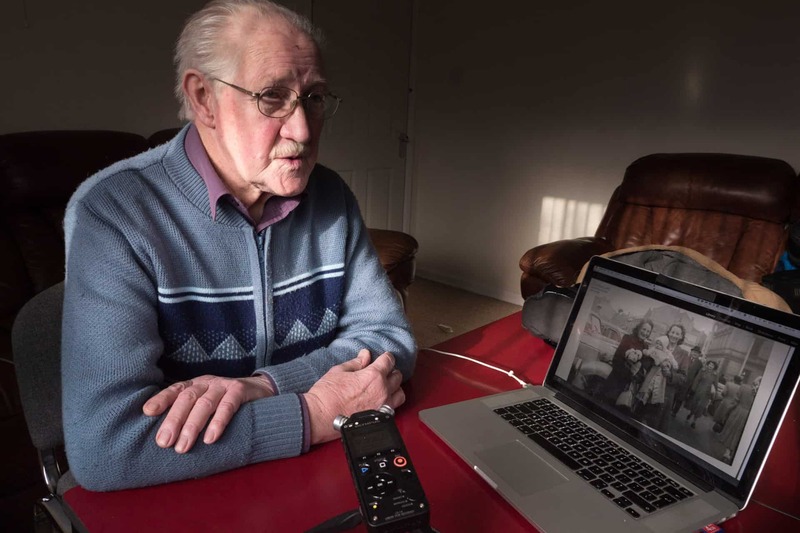 He was over in Southern Ireland in 1924 with the Black and Tans, but he never told me the proper story. 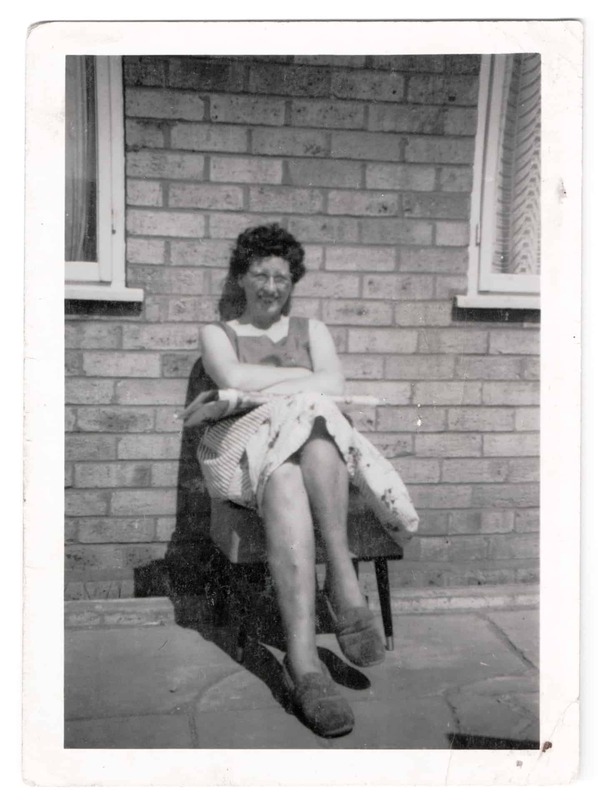 This is my mum Ada Minnie and she was from Langley and Oldbury which was then in Worcestershire. She was one of nine siblings, she had two brothers and six sisters. My mum was very kind and generous, she always used to help people out, and she always made sure we got good food, and clean clothes. I am not sure when this one was taken, but it was before she married my father. This was taken before she got married, when she left school and went to GKN engineering company working on a capstan lathe. It was very hard work, she lost the end of her finger at work. 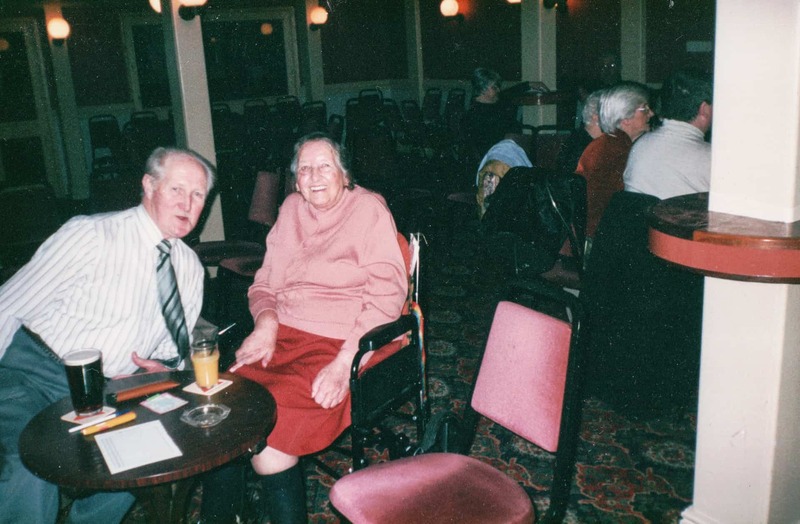 She used to do a lot of housework, cooking and so on, and always made sure we had clean clothes. She passed away February 1981. So when I was courting Lily I didn't actually realise I was in love with her, because really at the time I had no intention of getting married, and it was 3 years before we actually did get married. I wanted a career in the Navy. Over the years I got to know her better, but I never thought of getting married up until after 3 years we had been courting. It was my future sister-in-law Violet who said: ‘It’s about time you pair got married!’. And I said well, ‘I don't know whether or not Lily will accept me’, and then that's when it came out about me being younger than she was, as when I first met herI had told her I was 23, but really I was only 19. She was born in 1926 and I was born in 1930. 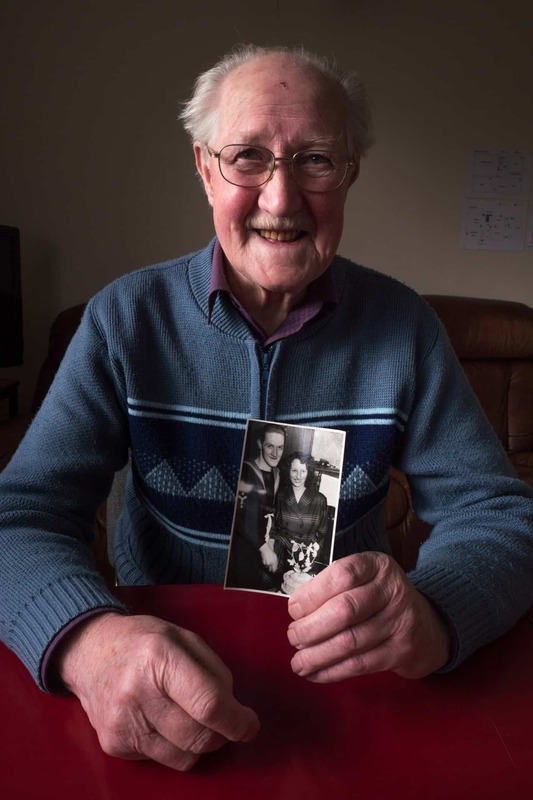 We got engaged on Lily's birthday which was the 29th of August in 1952, and we went into the Mistletoe Cafe and had sausage, egg and chips to celebrate. Lily didn't want to get married in Ireland because of all the rigmarole of all the relations and everything, and parties around weddings in Northern Ireland went on for over a week back then. 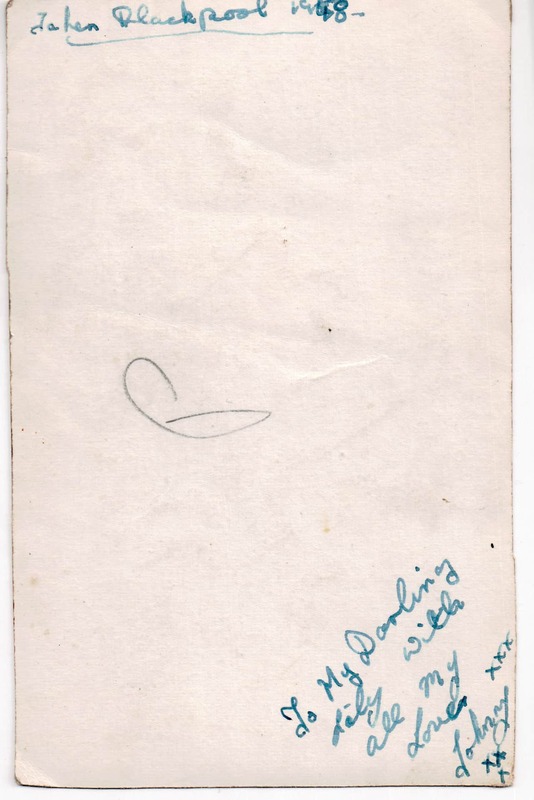 We waited a while before setting the wedding date to be 20th December 1952. So Lily and I got married in Oldbury Parish Church. She actually came over in 1952 to meet my parents to make sure they approved. After we got married she moved over here to Oldbury. This photograph here was taken in my mother's kitchen which was in Warley Rd. I am with my grandmother Roseanne Russell. She had nine children. This is actually taken on my wedding morning. 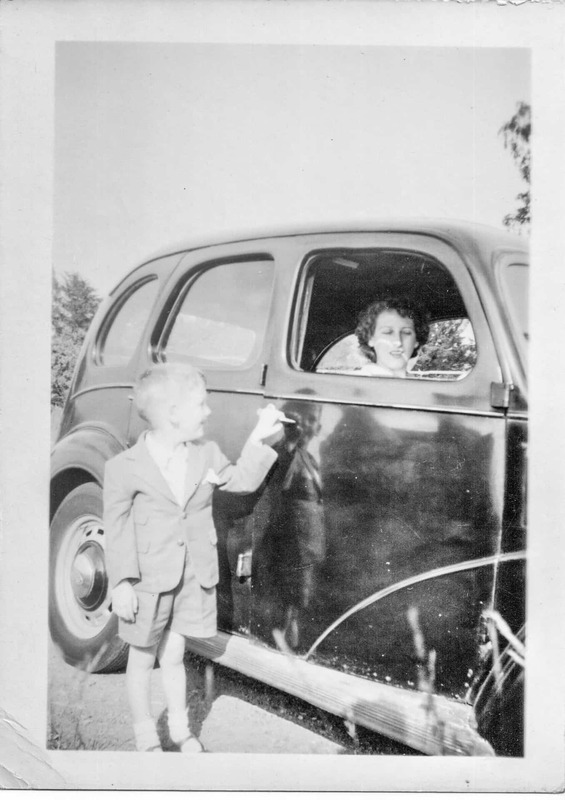 This photos shows the car I bought after being demobbed so that I could use it for work, that was a Ford Prefect 1949 registration. That’s Lily sitting in the car, and that's my son who didn't like my wife's driving. The thing was she passed her test with the Territorial Army but she could not drive a motor. 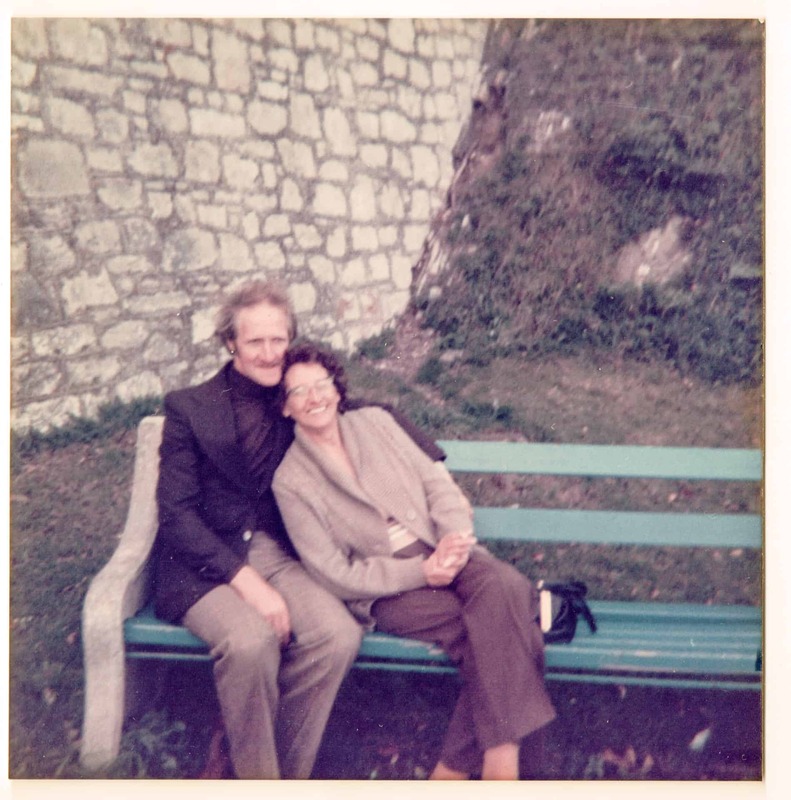 This was taken in Plymouth in 1978, the year that my daughter got married. My daughter took this with my old box camera. I do look very dapper here, I have got long hair, more than I have now like. We are still very much in love, and it wasn't until a later date that she took ill and couldn't walk, and things like that. The thing was, when she became pregnant she gave up smoking and she went 11 years without a cigarette. And it was after my daughter Sharon was born in 1960 that Dr Beverly said: 'Mrs Price, maybe if you have a cigarette it will calm your nerves better than the valium tablet'. So I went around to the pub and bought her 20 cigarettes and then she smoked from then up until 1999 when she got caught up with Bronchitis, so she gave up again. We moved up to the Lion Farm Estate in 1961. This is Lily sitting on the patio where we lived, relaxing in the sunshine while I was trying to do some gardening. It was about 1970, when we first came up here to Lion Farm there was no church, no pub, no flats, and it was a dirt track road. This one with her in the chair was taken at Sand Bay near Weston Super Mare. She was very happy here in this photo, because the first time we went down to Sand Bay, and it was just after I came out of hospital after having a nervous breakdown. We went down there in 1982 to Turkey and Tinsel. 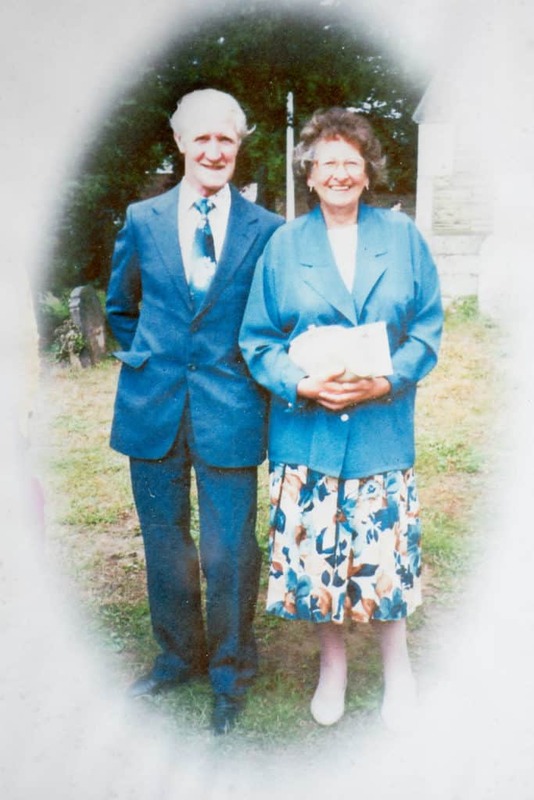 In 1981 my mother Ada Minnie Price passed away in Sandwell Hospital, and then a month after my mum passed away my Uncle Harry passed away, that was her brother. Then I got made redundant in 1981 so it all added to the stress. It was while we were down at Sand Bay on a different occasion in 2015 that my Lily died, 29th September 2015, and my daughter was there too, holding her hand.